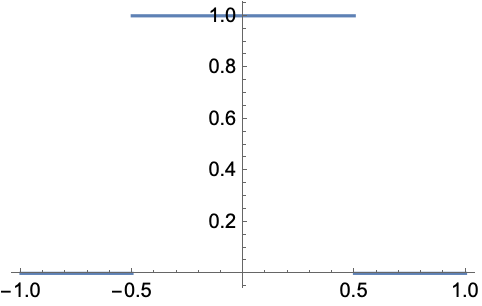 represents the unit box function, equal to 1 for and 0 otherwise. represents the multidimensional unit box function, equal to 1 if and 0 otherwise. 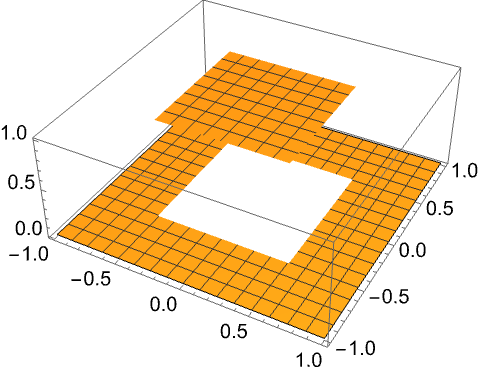 UnitBox[x] is equivalent to UnitStep[1/4-x^2]. UnitBox can be used in integrals and integral transforms.